Spensha Baker sings the national anthem on the 2018 National Memorial Day Concert. We spotlight the experiences of veterans in a new series, Generations of Service. Hear from Vietnam veterans about why they served and what it means to come to the Wall. All veterans share a special bond. Hear Vietnam veterans reflect on the bond among them. Christopher Jackson performs "The Last Full Measure of Devotion" at the 2017 National Memorial Day Concert. Auli'i Cravalho performs "The Star-Spangled Banner" at the 2017 National Memorial Day Concert. Renée Fleming performs "Wind Beneath My Wings" at the 2017 National Memorial Day Concert. Renée Fleming and Captain Luis Avila perform "God Bless America" at the 2017 National Memorial Day Concert. Five for Fighting performs "All for One" at the 2017 National Memorial Day Concert. Scotty McCreery performs "The Dash" at the 2017 National Memorial Day Concert. Vanessa Williams performs "Let There Be Peace on Earth" at the 2017 National Memorial Day Concert. Gary Sinise interviews Colonel Richard Cole, the last surviving Doolittle Raider. Severely wounded by an IED explosion, CPT Luis Avila rehabilitates with the help of Music Therapy. Jacke Walton recounts the tragic cost of war for her family and honors her father, SFC Lewis C Walton’s sacrifice in Vietnam. LTC Harry T. Stewart (Ret.) recounts his inspiring journey to becoming a documented original Tuskegee Airman. Co-hosts Joe Mantegna and Laurence Fishburne discuss the importance of Memorial Day. Gold Star Mother Kelly Swanson honors her son who was killed in Iraq July 22, 2006. Gold Star families remember their lost loved ones who died in service to our country. National Memorial Day Concert audience members pay tribute to friends and loved ones who lost their lives during the Vietnam War. Join WWII veterans as they reflect on their service and their fallen brothers. 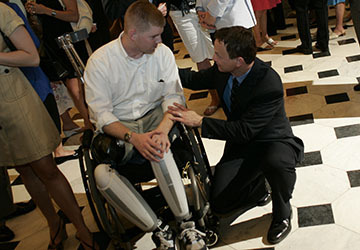 Hear personal perspectives from disabled veterans visiting America's new memorial. We remember Jerry Colbert, Founder and Executive Producer of the National Memorial Day Concert. 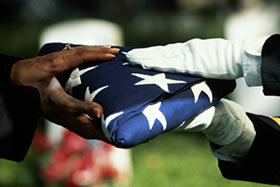 Share your story and join us as we remember our fallen heroes and their loved ones. 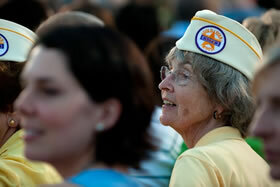 Join Gold Star mother Paula Davis on a visit to Arlington National Cemetery. Jack Farley was one of 75,000 Americans severely injured serving in the Vietnam War. Learn why Alton Knappenberger was dubbed a “one-man army” after the WWII Battle of Anzio. Gloria Estefan shares her personal connection to veterans. Watch the 2015 journey of two Gold Star children whose father was killed while serving in Iraq. 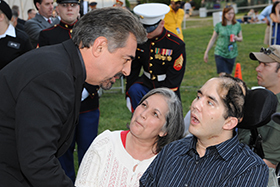 Disabled veteran Romy Camargo and his wife Gaby turned tragedy into a love story at the 2015 concert. Every five years, sons and daughters of the fallen come together to wash the Wall. American Gold Star Mothers reflect on the meaning of Memorial Day. 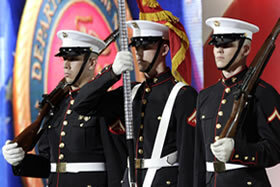 U.S. troops returning from Iraq and Afghanistan receive a special tribute. 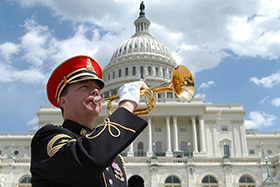 Attendees at the U.S. Capitol share the meaning behind their Memorial Day traditions. 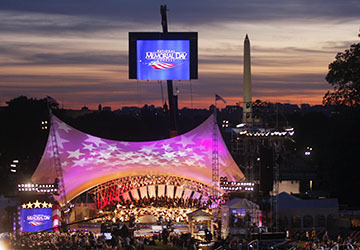 Go backstage and get a behind-the-scenes look at the National Memorial Day Concert.